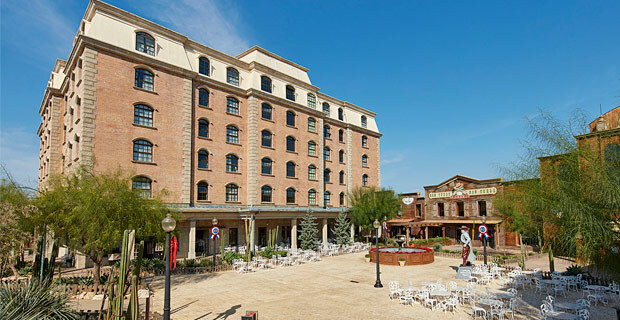 This establishment was built in 2009 and enjoys direct access to the popular amusement park. It is situated 4 km from Salou and 12 km from Tarragona. There are 5 storeys in the main building and 3 in the annexes with more than 500 rooms including 10 for guests with limited mobility. The hotel features a 24 hour reception service, bars, restaurant, shops and a snack bar in the pool area. Guests will appreciate Wi-Fi in the public areas and free ADSL in the rooms. All guests have discount on the entrance to the local water park.